As with anything in life having a solid and stable foundation is key and the same is true for any home you want to buy. If the foundation in the home you want to buy is cracking, leaking or showing signs of buckling inwards you may want to pass on that home or at least have a structural engineer evaluate what repairs may be needed to stabilize the foundation and make an offer based on those conditions. Often times the signs of foundation issues may not be that evident, especially if a seller is attempting to cover it up. Some signs of foundation issues include cracks in drywall, doors or windows that don’t open, noticeable changes in the floor in and around the house. From the exterior of the house look for siding that may not look straight, bricks with cracks, gutters that are draining right next to the house. While all of the above are not signs that give you 100% proof that there are foundation issues they do point you to the fact that the foundation should be looked at further by a structural engineer if you really must have this house. Due to the weight of a house all of them will settle. Minor settling is not much of a concern as a result. You should be concerned more with uneven settling or major shifting of the foundation. When in doubt the small amount paid to have a structural engineer look at the foundation and give an opinion is a great savings over having to repair a bad foundation that you discover after moving in. When you walk through a house make sure to look at the ceiling and walls for signs of staining or signs of recent painting. Also pay attention to any water stains in the basement on the basement walls or on the floor. Especially where you see evidence of painting or a clean-up job in a particular area you should look a little more closely. Were there water leaks from a pipe burst, did the roof leak, is the foundation leaking or is there something else at play? problem to continue on for too long of a time not only does the home suffer from the water damage you can have other problems like mold to deal with. If you do suspect there may be some ongoing water issues make sure to point it out to your home inspector and have them look at it. Further evaluations can be done on the area of concern by qualified roofers, plumbers, HVAC companies or others as related to the nature of the water issue. Water issues are especially important to address and have looked at since over time the amount of damage it can cause grows. When touring a house you should also look at the mechanical systems of the house like HVAC (Heating, Ventilation, Air Conditioning), plumbing, electrical, and garage door openers to see the condition they are in and to check if they are working properly. While yes your home inspector will take a look at these systems, you may save yourself some time and money if you realize ahead of time that the home you are looking at has a 20+ year old furnace that may need replacing soon. If replacing the furnace is not in the budget for the foreseeable future after buying a home it makes sense to look for a home with more updated systems. In addition to looking over the mechanicals systems in a house to see how they look you should be testing those systems as well. Running a faucet to see if hot water comes is one easy way to check how fast hot water does flow to the faucet and to see how hot the water is. If the water does not feel very hot then you should check other faucets in the house to see if the water is hotter there or is lukewarm everywhere. If other faucets in the house also have lukewarm water temperatures the next step would be to check the hot water heater and see what temperature it is set at. Some water heaters may be intentionally set low if no one is living in the house to conserve energy or in order to avoid getting burned by too hot water. If the hot water issue is just at one location the fix is quicker and easier versus a home requiring a new water heater. In addition to checking water temperature you can easily check for leaks in plumbing by checking underneath the sinks below the drain pipes to see if you see any signs of water dripping. Run the water in the sink and observe the drain underneath the sink to make sure there is no water leaking. While those types of leaks are very easy to fix some homeowners may not know about the leaks and the water damage over time can make a mess of wood cabinets and can cause mold problems as well. In addition to visual checks of the visible HVAC components you can test the quality of the heat output if you are touring homes during the cold months and test the quality of the cold air output during the warm months. Things to look for include how warm or cool does the air feel coming out of the vents and is the air coming with enough pressure. If the air is not cool enough or warm enough there could be issues with the A/C compressor or heater core that warrants further attention from a HVAC service professional. As you get further away from the HVAC fan then the air pressure does drop off but it should still be noticeable. If a room in particular does not get much air flow it could be possible that a damper is turned on in order to reduce air flow to that room, there is blockage in the duct or there is a leak somewhere in the duct causing the air to divert elsewhere. When looking at the HVAC central unit itself, if the air filter is readily accessible then take a look at it to see how clean or not clean it is. Homeowners should be changing the filter on a regular basis. Not changing the air filter as per manufacturer recommendations can put extra strain on the HVAC motor causing it to wear out early. The HVAC may have additional attachments such as humidifiers, UV filter bulbs and energy ventilation recovery systems. Pay attention to the condition of those attachments as often times you cannot leave a failed attachment on the HVAC and not expect to waste energy. 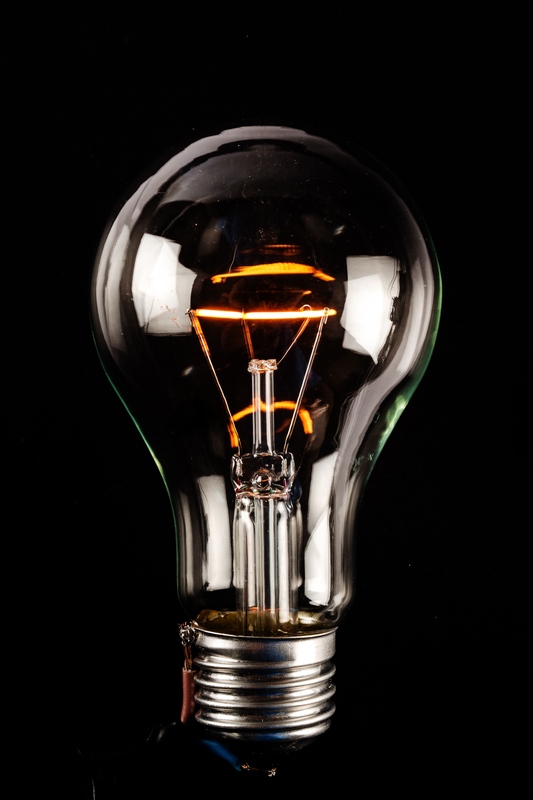 Electrical is one of those things that is not easy for the average person to check and explore. With all the wiring hidden behind the walls problems with a house electrical systems are not readily visible. What you can check is to see do light switches work properly, do ceiling fans turn on and operate properly, and if you can find the electrical panel a visual check of it should give you an idea of how old or new it may be. If you do note any switches that may not work or other issues you can bring them up with your home inspector should you decide to make an offer. Garage door openers are probably one of the simpler mechanical systems you will run across but very few buyers bother to test them out. 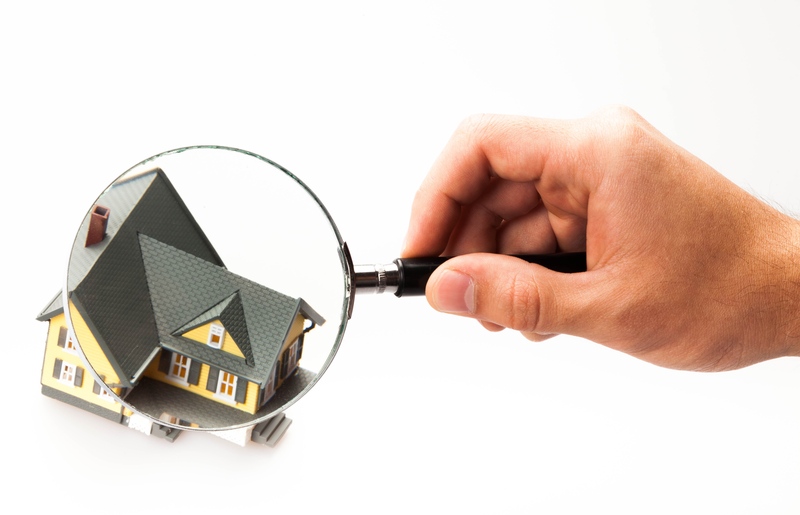 While not overly expensive compared to other mechanical systems knowing whether they work fine or need attention helps you point your home inspector in the right direction so that they can take a good look and let you know if anything needs to be addressed. If the problem lies with more than just the garage door opener itself and possible a new garage door and track are needed then the expenses can be higher and you may be thankful that you noticed that upfront. If you visit a house for sale and just look at the surface of the home you could be wasting valuable time and money by not also looking below the surface. By considering more than just the looks of a house you may buy you may save yourself some money or you may instead be able to better plan your budget by knowing what parts of the home will need immediate attention and what parts will last for a while. If it takes more than one visit to explore a home fully then you should plan on making an extra visit as the time and money savings are worth it. 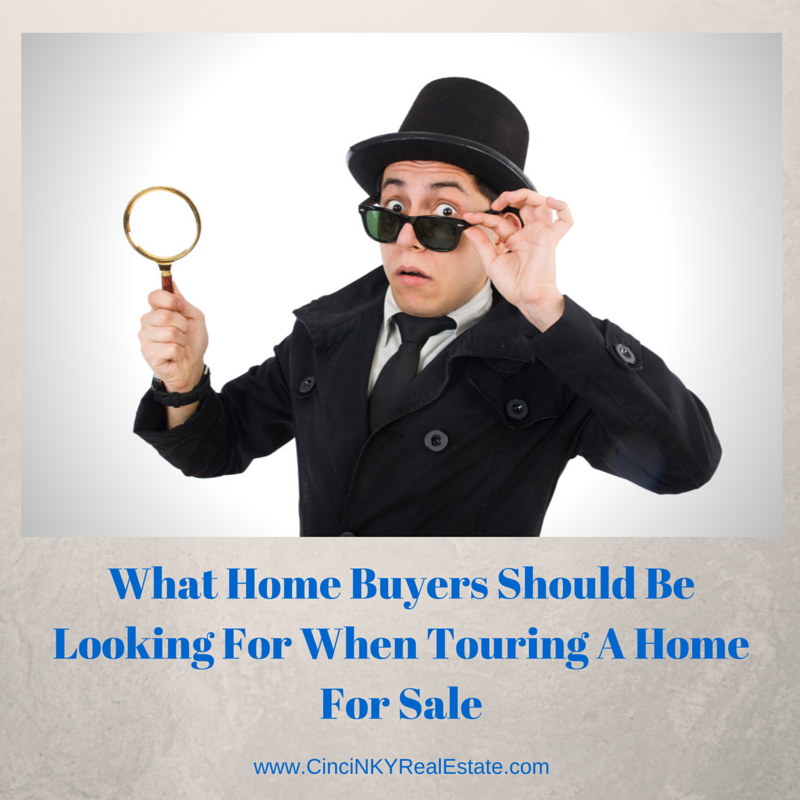 About the author: The above article “What Home Buyers Should Be Looking For When Touring A Home For Sale” was provided by Paul Sian. Paul can be reached at paul@CinciNKYRealEstate.com or by phone at 513-560-8002. With over 10+ years experience, if you’re thinking of selling or buying, I would love to share my marketing knowledge and expertise.